As someone whose identity includes serious Christianity and serious progressive political stances, I’ve always been wary of trying to counter the Christian right with some sort of Christian left, in a Bible-quotation–loaded competition to claim God for a party or ideology. As Barack Obama once convincingly argued, doubt about what God wants people to do politically is an important part of an attitude of humility which used to be called “the fear of God.” It’s also part of the foundation for the great American doctrine of separation of church and state, which was sacred to Southern Baptists when I was growing up in that faith community (they’ve dramatically flip-flopped since then, alas). [Booker] bids fair to become the most overtly Christian Democratic presidential candidate since Jesse Jackson and perhaps even Jimmy Carter, at a time when his party is trending irreligious and the opposition claims a monopoly on all things biblical. What makes Booker different from many left-of-center figures who are “personally” religious is that he purports to be progressive because of his faith, not despite it or incidentally alongside it (e.g., the way John F. Kennedy referred to his own faith as an “accident of birth”). If this becomes central to his identity as a presidential wannabe, it will be provocative to both the Christian right and to secular Democrats. And that could be both a benefit and a handicap for Booker ’20. Dionne notes that Booker and Elizabeth Warren share Buttigieg’s willingness to talk about Christian faith. But what makes Mayor Pete especially interesting is that he challenges the idea that Christianity is inherently homophobic in a direct and personal manner. To him, LGBTQ folk aren’t third parties who are the subject of some argument between Christians and progressives: He’s Christian, progressive, and gay. So conservative Christians who like to imply that their more accepting co-religionists aren’t “real” or “orthodox” because they don’t exclude gay people need to be willing to tell Buttigieg he’s taking the Lord’s name in vain. And that may be — and certainly should be — uncomfortable for them. The Episcopal Church of America accepts gay parishioners, priests, and bishops in churches that recite the Nicene Creed every Sunday and have as authentic a claim to “orthodoxy” as any other church and more than many. So, too, do such solid elements of the American and global religious landscape as the United Church of Christ (a.k.a. Congregationalists), the Presbyterian Church (USA) (the largest gathering in that faith tradition), the Evangelical Lutheran Church of America (ditto), the Unitarian-Universalist Association, and many congregations and whole regions of the United Methodists and my own Christian Church (Disciples of Christ) that embrace gay people as equals in every way. There are many smaller denominations and nondenominational gatherings that do the same. And that’s aside from the millions of individual Catholics, Evangelicals, and Pentecostals who reject, quietly or openly, the homophobia of their own denominations. Any Democratic presidential nominee who can authentically talk about his or her faith would be well advised to do so if only to confound Christian-right leaders and followers who have cast their own lots with the heathenish warlord in the White House. 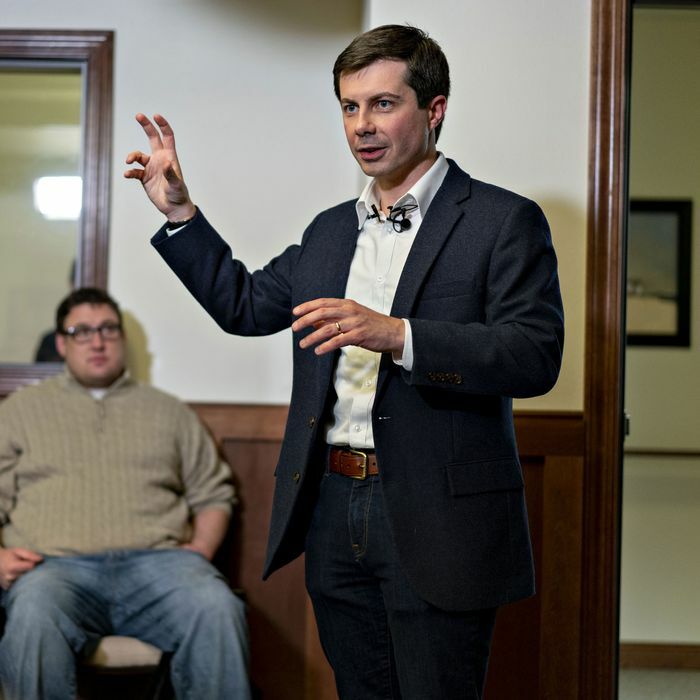 But Pete Buttigieg offers a particularly interesting contrast with the 45th president. Would anyone be confident in accusing this married, churchgoing, Afghanistan veteran of being ethically inferior to Donald Trump? Not without risking hellfire.